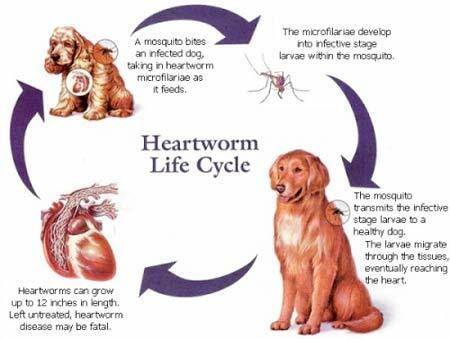 Heartworm disease is one of the most common preventable diseases in the veterinary world. Your pet can become infected with just one mosquito bite! This disease can be very serious, even fatal- so prevention is key. We offer a wide variety of cost effective preventatives. Our knowledgeable veterinary staff is the best source for information in regards to choosing the right products for your pet. We would be happy to explain all of the options and help you decide!